The “I dos” are done, the meal has been cleared away and now it’s time to celebrate… it’s PARTY TIME! 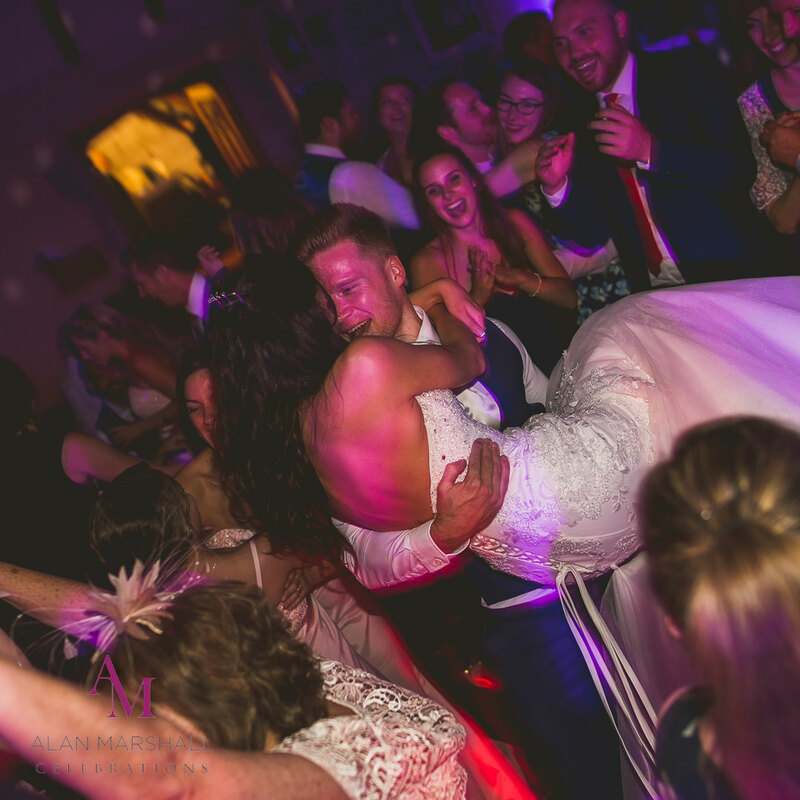 The evening part of your wedding reception is the time to celebrate with friends and family the momentous step you took earlier in the day… you got married! But how do make sure that your party lives up to exceeds your expectations? Well, let me give you a few pointers… (I’ve linked to appropriate blog posts I’ve written so you can find more information). Planning – Great parties don’t just happen, they’re planned. You, the venue and anyone else involved in the running of your evening celebration, need at least a rough plan of what’s going to happen and when. I’m on hand to help you plan your whole day, including the party just as soon as you book me. Timeline – Let’s look at at the timeline… Your wedding is, most likely, a family occasion. It’s one of those “events” that don’t happen so often where all your family get together. They want to chat and catch up on what’s been going on. Having a loud, pumping party isn’t a good thing at this point. If they can’t hear to chat, they’ll go and find somewhere where they can. Ease into it, quieter, softer music to begin, mix and mingle, chat. Then there are all of the other “spotlight moments” such as the cake cutting, love story, first dance, father and daughter dance, bouquet toss, evening buffet and finally, the last dance. You can do all, some or none of these, but at least discuss them. Evening guests – if you are having evening only guests to arrive at say 7 pm, allow time for them to arrive and to be able to greet and chat with them. After all, they’ve only come to see you. Save something of your wedding day for them to see, such as the cake cutting and first dance, so that they feel they’ve come to a wedding celebration rather than just a party. 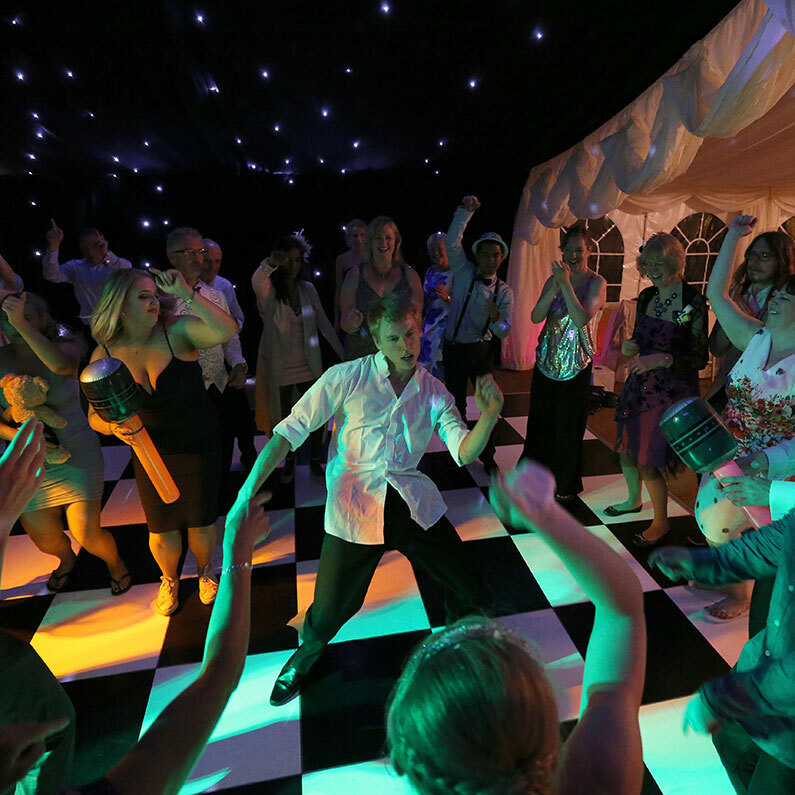 Dancefloor – The first dance is done and it’s time to hit the dance floor! But where are the Bride and Groom? Where is the party at? I always tell my couples that the party will be where you are! and they look at me blankly. If you are hosting a party, or it’s your wedding reception, your guests will take their lead from you. They came to your party to see and to celebrate with you. Where you are is where they’ll be. The Perfect Playlist – Music comes in so many varieties, styles and genres now. You know your guests, you know what you and your school friends, uni mates, family and work colleagues dance to… so make sure the DJ knows too! 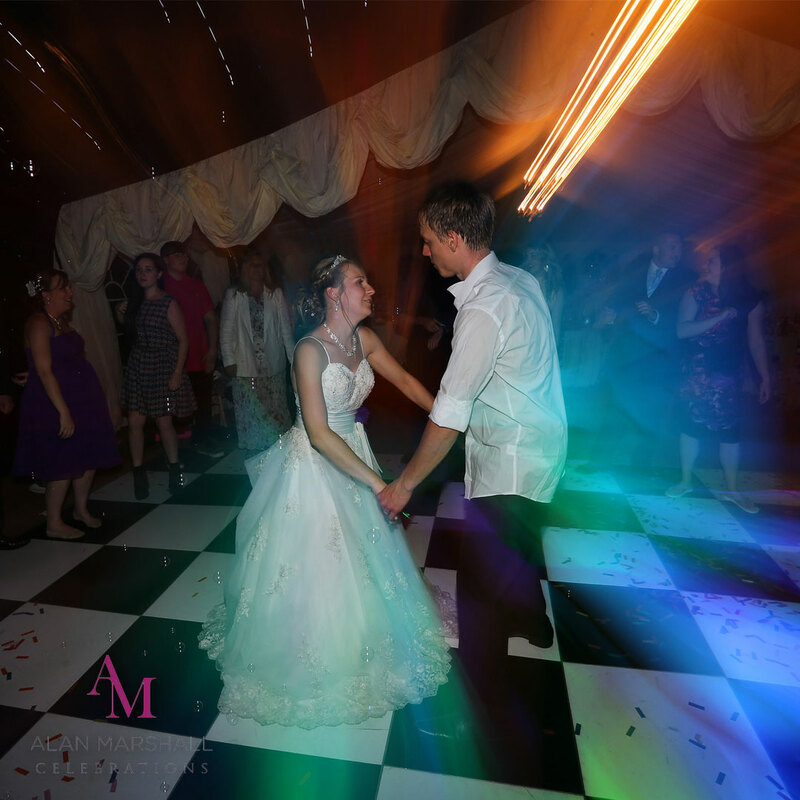 I discuss and work with my clients to produce the perfect soundtrack to the perfect day. You need party music, music you can all dance to. Maybe one or two slower songs, but mainly up-tempo dance songs. Although there is nothing wrong with having a wide range of music, if it is too eclectic you are likely to have people leaving the dance floor because they cannot enjoy every song, so ordering your playlist appropriately is vital. No, no… it’s not what you think… I don’t mean cheesy, embarrassing games. Let me explain… If you are considering games, for example, as a wedding DJ, very popular at the moment is the Mr & Mrs (Shoe) Game. The key to any game is it needs to “connect”, it’s about the interaction between the couple and their guests, random games are more likely to annoy rather than entertain. Above are just a few ideas on how to have a great party. Please contact me to discuss your party and find out why I guarantee the success of every party I am are involved with.